We are currently working towards putting our collections online in a searchable catalogue. Below are links to sites hosting information about our collections. This site run by the British Geological Survey (BGS) is the world’s first 3D virtual fossil collection. Thousands of 3D digital fossil models, and high quality images, can now be browsed and downloaded for free. The site includes British type fossils from the Sedgwick Museum, BGS, National Museum of Wales, Oxford University Museum of Natural History and other partners. Once data has been fully uploaded the site will contain information concerning about 7,000 type specimens from the Sedgwick Museum including 23,000 images and 500 digital models. 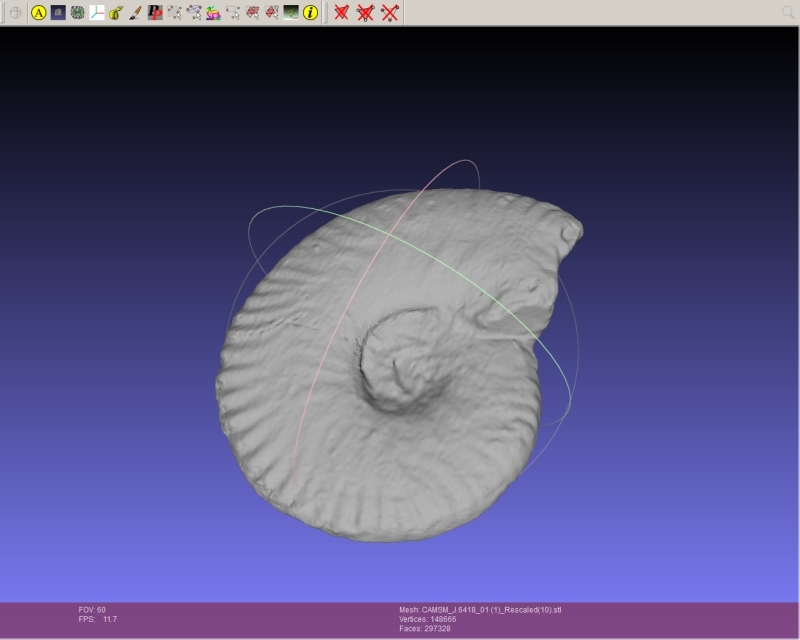 The GB3D Type Fossils Online project, funded by JISC (Joint Information Systems Committee), is a resource for academics, researchers and fossil enthusiasts alike. This website houses photographs and descriptions of the specimens found in the 1A (first year) Reference Series at the Department of Earth Sciences, University of Cambridge. This series is a collection of rocks, minerals and fossils used to aid the first year Geology students in their practical revision. It is not an exhaustive collection, but includes the range of specimens with which the first year students should become familiar. The Sedgwick Museum has been working in conjunction with the Open University on an exciting project using our collections which makes many of our objects available online. This new virtual microscope website is now live and contains many Sedgwick Museum samples. The aim of the site is to allow users to examine and explore minerals and microscopic features of rocks, helping them to develop classification and identification skills witout the need for high-cost microscopes and thin section preparation facilities. Some of the specimens from the Petrology Collection can be seen here. Find our more about the Virtual Microscope for Earth Sciences here. Collection level descriptions for many of the collections held in the Archives were written during the Archive project in 2010-2011. These can be accessed on line via the Archives Hub. The Archives Hub is a national gateway to the holdings of archives in UK universities and colleges.